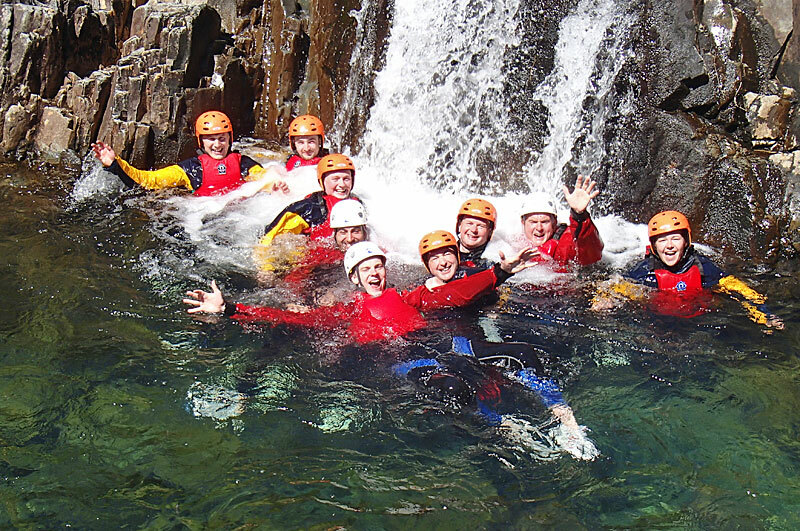 Ghyll, scrambling or gorge walking, as it is often called, is suitable for any fun loving active individual or group with a sense of adventure! 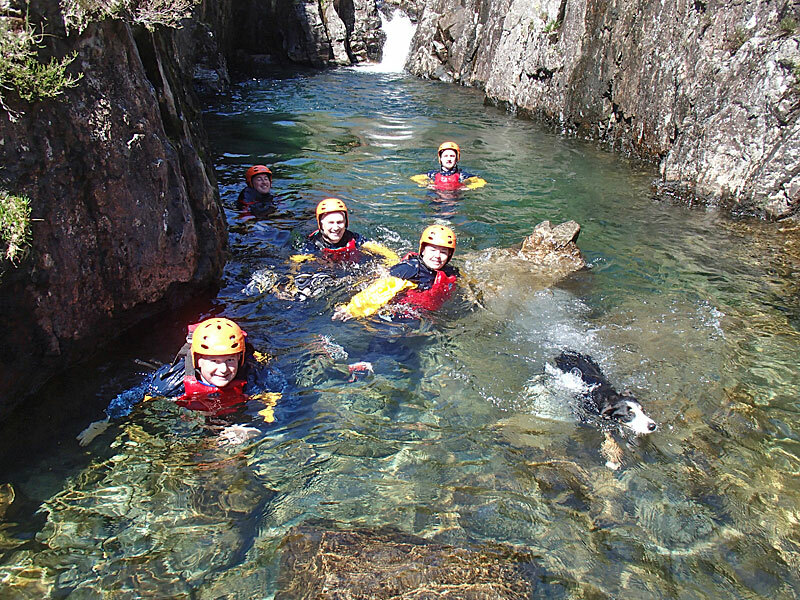 Ghyll Scrambling is one of the Lake District’s favourite mountain activities. Often referred to as gorge walking or canyoning, it can be either an ascent or descent of one of our many rocky mountain streams, which locals have always referred to as ghylls. It’s an exhilarating, splashy, wet and scrambly activity. 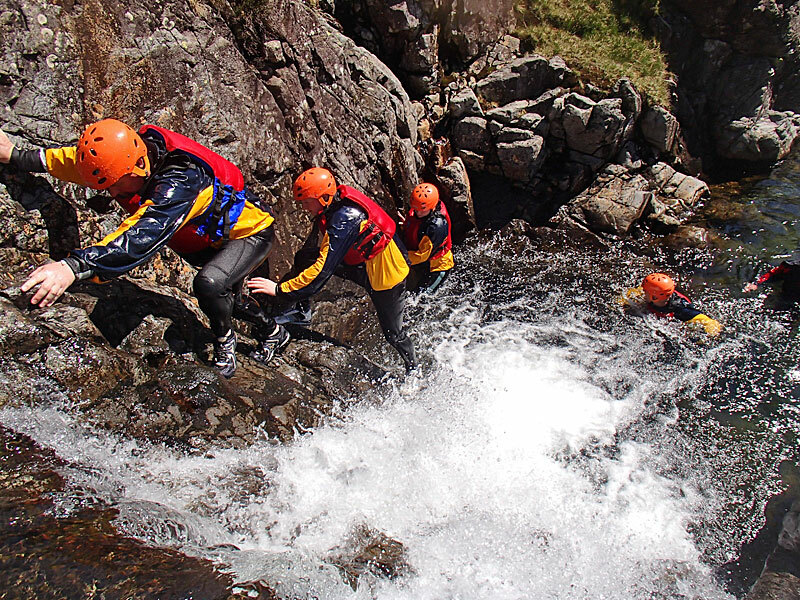 Keswick Mountain Adventures’ Lake District ghyll scrambling trips are the perfect adventurous tonic to complement the more usual “serious business” of life! You will be led into a narrow gorge, carved out by aeons of flowing water and experience the unfolding challenges of scrambling up climbs, jumps into plunge pools, tunnels and the occasional swim for good measure. 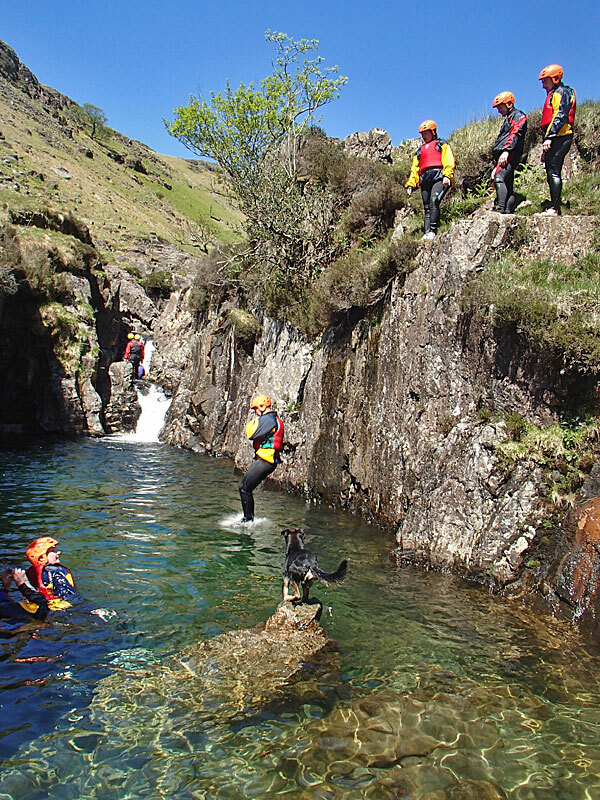 Your ghyll scrambling experience touches some of The Lake District’s most stunning locations and is a wonderful opportunity to go where most people don’t. As we are very safety conscious, you’ll always be roped up where necessary and if confidence deserts you: no problem! There’s always the option to skirt around any sections you might not fancy. This activity can be as wet and wild as you want and is suited to all levels of fitness and experience: as venues will be chosen to suit you. 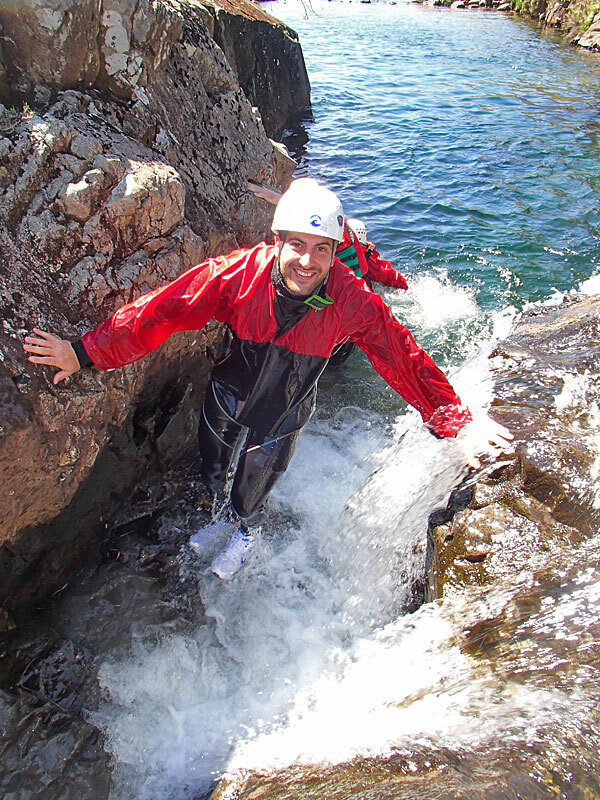 From the simplest gorge walking locations to canyoning in the Lake District’s rockiest streams we can find your ideal scramble. Experience is not necessary for our standard trips although water confidence is an advantage. (A note about changing; there are no changing facilities at the venues, please be prepared to change discretely behind a towel, in your vehicle or al fresco – hidden in the foliage). This is an extraordinary way to explore the more secret side of the mountains and it is fantastic fun for everybody. 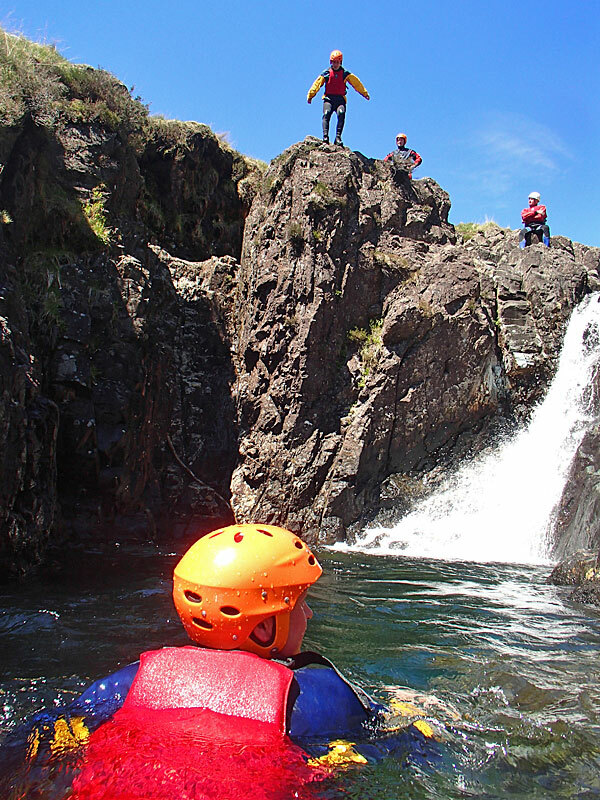 Under the expert guidance of our highly experienced instructors you can make an ascent of a mountain stream (ghyll) by climbing waterfalls, scrambling through narrow gorges and wading through deep pools. 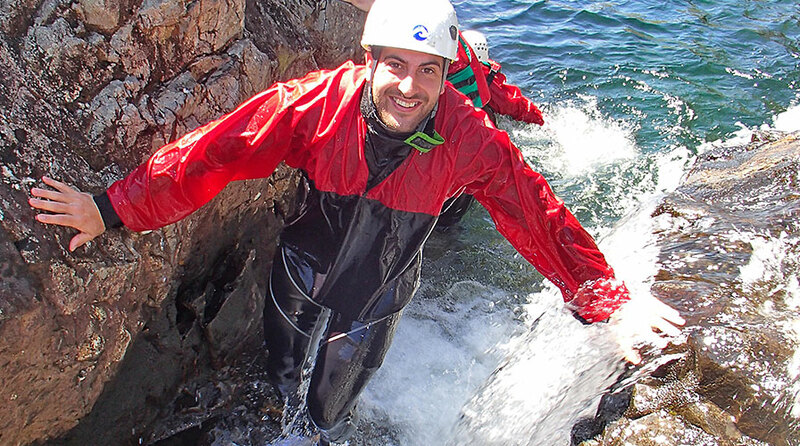 Keswick Mountain Adventures instructors will lead you into a spectacular world of water sculpted rock and sparkling, crashing waterfalls. We will guide you as you scramble along the stream bed, slide down water polished chutes, swim across deep pools and leap down spectacular waterfalls into plunge pools below. Just click on the video at the bottom of this page to see what you’re letting yourself in for.